the above simple code make the previous and next page location onClick. history.go(-1); is make go back one time back. similarly we can make change any number, as we need, where to go and how page back. that's what the number mentioned. 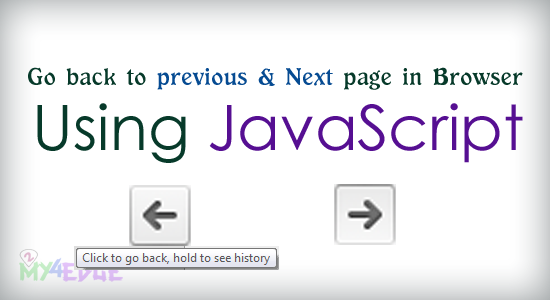 history.go(+1); is make go to next page in browser. we can make this in input button also, there also we want to make Onclick function. i hope this post is very useful to everyone. thank you.